Tormead offers a range of Academic, All Rounder, Art, Music and Sport Scholarships to existing pupils and to external candidates. These are worth up to 10% of the current tuition fees. Additionally, Music Scholarships cover the cost of tuition in one instrument, provided that tuition is taken at Tormead. The cost of tuition in a second instrument is also covered where tuition is taken at school in one of the instruments within our Endangered Instrument Scheme: Oboe, Bassoon, Double Bass, French Horn, and Trombone. A Music Exhibition may also be awarded which does not result in a reduction in school fees but which does cover the cost of music tuition at Tormead in one instrument, or two if the second is included in the Endangered Instrument Scheme. The number of scholarships awarded each year is at the discretion of the Headmistress and will reflect the calibre of the candidates who have applied. 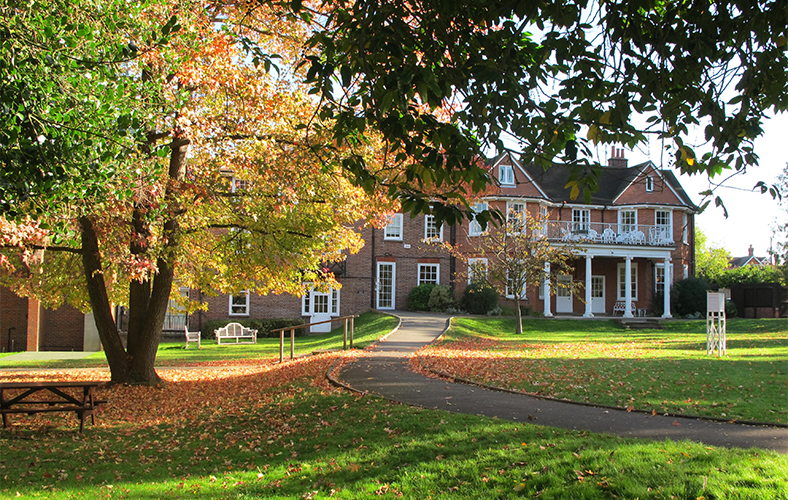 All scholarships are reviewed annually and are tenable for the whole of a girl’s time at Tormead, subject to our satisfaction with her overall effort and attitude towards her studies. Award-holders are expected to remain at Tormead until they have completed their A Level examinations and to make a significant contribution to school life. Academic, All-Rounder and Music Scholarships are awarded to existing Junior School pupils entering Year 6. Additionally, exceptional athletes who regularly represent the School in sporting events may also be invited to join our Elite Athletes’ Programme. All awards transfer to the Senior School and award holders are expected to remain at Tormead until the end of Sixth Form. Academic Scholarships are awarded based on the outcome of the Year 5 summer examinations, whilst girls who excel in at least three of the following aspects of school life are invited to apply for the All Rounder Scholarships: academic, art, charity, digital leadership, eco, music, sport. Girls who have reached at least Grade 3 in their principal instrument, who show evidence of attainment in a second instrument and who have proven commitment to the extra-curricular musical life of the School can apply for Music Scholarships. Music Scholarships or Exhibitions are awarded following auditions which are held in early June. Further details about how to apply for these scholarships will be provided to all girls during the Summer Term of Year 5. Every year, Academic, Art, Music and Sport Scholarships are available to both internal and external 11+ candidates. All girls entering the Senior School are assessed for Academic Scholarships on the basis of their performance in the 11+ Entrance Examination. All candidates are therefore automatically considered and there are no separate scholarship papers. Candidates who apply for an Art Scholarship must submit a collection of their recent artwork and/or a selection of their sketch books on or before the day of the entrance examination. Short-listed candidates will be invited back to sit a one-hour drawing test and to talk about their artwork with members of the Art department. In order to be considered for a Music Scholarship, candidates should be approximately Grade 4/5 standard on their principal instrument and show evidence of attainment on a second instrument. Auditions for short-listed candidates will be held on the Saturday following the 11+ Entrance Examination. Candidates will be expected to perform two contrasting pieces of music on their principal instrument and one piece on their second. They will also be given aural and sight-reading tests and have a short interview with our Head of Music. Evidence of composition, whether played or written down, may be an advantage. In order to be considered for a Sport Scholarship, candidates must submit an application form and single A4 page CV detailing their sporting achievements. Short-listed candidates will be invited back for an assessment day on the Saturday after the 11+ Entrance Examination. Further details about the 11+ Scholarships and how to apply for them will be provided as part of the examination pack which is sent to all registered candidates after the registration deadline. In the Sixth Form there are up to five new Academic, two new Music and two new Art Scholarships available each year, each worth up to 10% of the current tuition fees. There are also up to two Sixth Form Sport Scholarships available to existing pupils who have already shown a proven ability in sport and an exceptional commitment to the sporting life of the School through membership of our teams. Sixth Form Scholarships are awarded to existing Tormead pupils in the Summer Term of Year 10. Girls who have performed exceptionally well during their end of year examinations are invited to interview for the Academic Scholarships. Applications are also invited for both the Art and Music Scholarships. Girls wishing to be considered for a Music Scholarship do not need to study Music at AS or A Level. However, they must be willing to play a leading role in the musical life of the school. They should be approximately Grade 6/7 standard on their principal instrument and show evidence of attainment in a second. Short-listed candidates will be invited to audition and will be expected to perform two contrasting pieces of music on their principal instrument and one piece on their second. They will also be given aural and sight-reading tests and have a short interview with our Head of Music. Most importantly, girls will be expected to show the potential to become a well-rounded musician and provide evidence of active involvement in performing. External candidates are welcome to apply for Academic, Art and Music Sixth Form Scholarships. The application deadline for external candidates to apply for Sixth Form Scholarships is 31 October in the year preceding entry to the Sixth Form. No late applications are accepted. Candidates will be assessed for Academic Scholarships on the basis of their performance in the Scholarship Examination and entrance interviews. Music Scholarship auditions and Art interviews for short-listed candidates will normally be held during the November preceding entry to Tormead. Further details about how existing pupils should apply for Sixth Form Scholarships will be provided to current pupils during the Summer Term of Year 10. External applicants should contact the Registrar, Mrs Melanie Hobdey, for additional information. Tormead offers financial support in the form of means-tested bursaries. For further information, please download our guidance document: Guidance and Application Process for Entrance Bursaries Website 2018-2019. The number of bursaries available each year is limited and, unfortunately, we are unable to consider applications made after the published deadline. Interest must be registered by Wednesday 31 October 2019 and completed paperwork must be received by Friday 22 November 2019. The Governors of Tormead are committed to broadening access to the school by offering to eligible parents/guardians means-tested financial support with the payment of school fees. Entrance Bursaries are for new applicants to the school at 11+ and 16+, where a place has been offered but parents/guardians are unable to fund the tuition fees. Entrance Bursaries may be awarded in the form of a discount of up to 100% on tuition fees payable and assistance with extras and will include school uniform and residential trips, depending on the financial, compassionate or other pertinent circumstances of applicants. In some cases, assistance with lunches and transport to/from school will also be available. A limited number of Hardship Bursaries are available for existing pupils where a change in the parents’/guardians’ circumstances has resulted in difficulty meeting tuition fees and which could result in the pupil being withdrawn part-way through a key stage of her education.